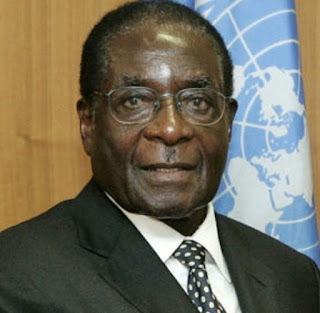 As Military seized power in Zimbabwe systematically, an opposition leader, Morgan Tsvangirai, urged President Robert Mugabe to willingly resign in the interest of the country. Mugabe is insisting he remains Zimbabwe’s only legitimate ruler and has balked at mediation by a Catholic priest to allow the 93-year-old former guerrilla a graceful exit after a military coup, sources said on Thursday. “In the interest of the people, Robert Mugabe must resign and step down immediately,” Tsvangirai, leader of the Movement for Democratic Change, told a news conference, reading from a statement. Earlier, the political opposition in Zimbabwe called for the intermediate installation of an interim government, a day after a surprise military takeover. “At the moment the transitional government is the best way to go,” said Douglas Mwonzora, Secretary-General of Morgan Tsvangirai’s MDC-T party. Armoured vehicles that were stationed at key government buildings during the political upheaval on Wednesday remained in place. The soldiers appeared relaxed, even smiling and chatting with onlookers. Most people were going about their daily business and children went to school. Special envoys sent by South African President, Jacob Zuma, were holding discussions on Mugabe’s fate with Zimbabwe’s leaders. Officials from the Southern African Development Community were also meeting in Botswana’s capital Gaborone later Thursday to discuss the situation in Zimbabwe. “What is needed is an inclusive government to run the affairs of Zimbabwe until a time it is right to have elections,” said Didymus Mutasa, a longtime minister in Mugabe’s government, who was fired in 2014 for backing Joice Mujuru as the president’s successor. While the army has said Mugabe is safe, there were mixed reports in the media about his wife Grace Mugabe’s whereabouts, with some saying she had fled the country. Speculation had been growing before the coup that 52-year-old Grace was preparing to take over from her husband. The potential ascendency appears to have faced resistance from senior military officials. There was an uneasy calm on the streets of Harare, after initial jubilation on Wednesday when the army announced it had seized control from Mugabe, 93, who had been in power almost four decades. Several Mugabe allies from his Zanu-PF party, including Finance Minister Ignatius Chombo, detained, some political players have been swift to show the army they’re on side. A grovelling apology by Zanu-PF youth leader, Kudzai Chipanga, who had criticised the army only hours before, was published by state media late Wednesday. “We are still young and make mistakes,” Chipanga said, adding that he was making his apology voluntarily and had not been coerced. “I have personally reflected and realised my mistake,” Chipanga added.